A payday loan is short-term financing of a small amount of money. Loans range from a few hundred to a few thousand dollars and are designed to be repaid within 30 days or less. In exchange for immediate cash, the borrower typically writes a personal check for the loan amount plus a stipulated fee and the lender deposits the check when the borrower receives the next paycheck. Sometimes, people need to file a payday loans bankruptcy. Typical fees for payday loans range up to $17.50 for each $100 borrowed, to a maximum fee of $300. Interest rates can be as much as 911 percent for a loan term of just one week, 456 percent for a two-week loan, and 212 percent for a one-month loan term. Compare these with the interest rate for a typical personal loan and it becomes clear why payday loans are included in many bankruptcy cases. Payday loans can become traps for consumers who are already strapped for cash. Due to the high rates, many consumers have difficulty repaying these loans, getting themselves stuck in a cycle of perpetual debt. Borrowers may extend their loans, incurring the loan fee and additional interest each time an extension is made. In the end, many borrowers pay more in fees and interest than in principal. These are instances where a payday loans bankruptcy may be necessary. Reliance on payday loans can put people in a direr financial situation than before taking the financing. Some people let this and other debt accumulate because they are unable to repay it, eventually making bankruptcy the only option. According to one analyst on Wall Street, the average payday loan customer makes 11 transactions each year. Some payday lenders have stated they expect all their customers to eventually default. For someone in debt, borrowing money at interest rates in the triple digits is not the best solution. If it is not repaid immediately, a payday loan makes a bad financial issues even worse. This financing is too tempting for some people and becomes a crutch, being used to pay for everything from groceries to utility bills. Far from resolving their debt problems, payday loans can make debt difficult to repay. 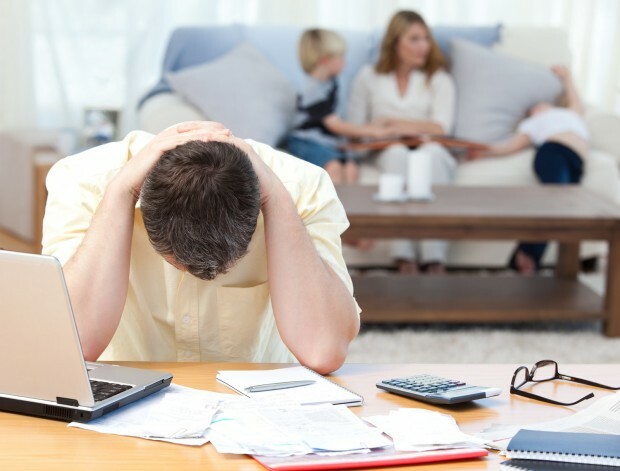 Even though payday loans may be the answer you need in certain situations, in can force you into a payday loans bankruptcy if you are not careful. People who find themselves mired in debt with no way out of it should consult with a bankruptcy lawyer. Through this meeting, they will learn the bankruptcy laws and whether Chapter 7 or Chapter 13 is a suitable way to eliminate their debt. Becoming debt-free in a convenient manner should be the goal and a qualified attorney can make this possible. I need to file payday loan bankruptcy. i have payday loans from two different currencies that were taken out in the amounts of $1300 and $2000. Now, i owe over $15000 on them! Help im in desperate need, can bankruptcy get rid of these payday loans? Payday loans offer people immediate relief at times when they feel desperate, but when you fail to make those payments, they begin to add up with their extremely high interest rates. Your situation is not new, and yes, bankruptcy can erase payday loan debt. Contact us now for a 100% free payday loan bankruptcy evaluation!